From a balmy February Friday to an extremely brisk February Sunday, Hayden, Kurt, and I attended IndieCade East, the first iteration of such to make its way to the East Coast. 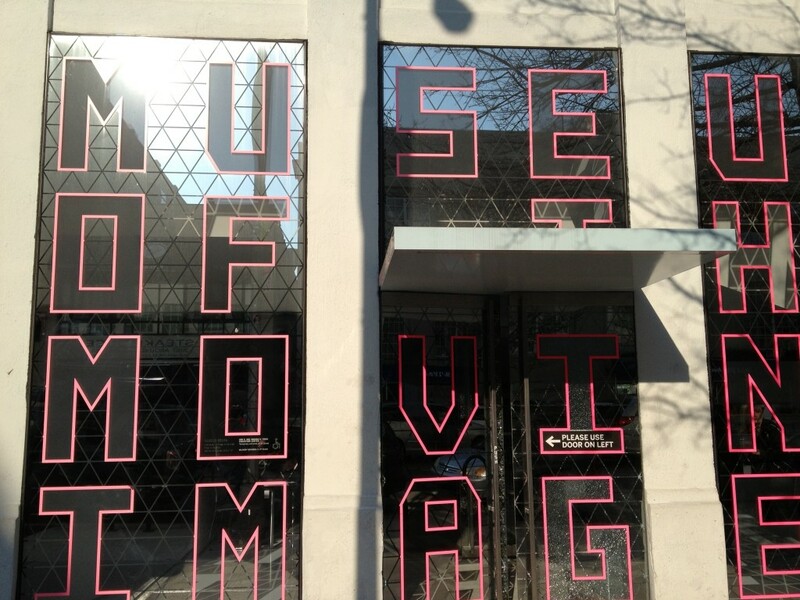 The conference took place over three days in Astoria, Queens at the awesome Museum of the Moving Image, which meant that we were lucky enough to only have to take a few short train rides to get there. As a New Yorker, I’d love to see a whole lot more conferences like this here. 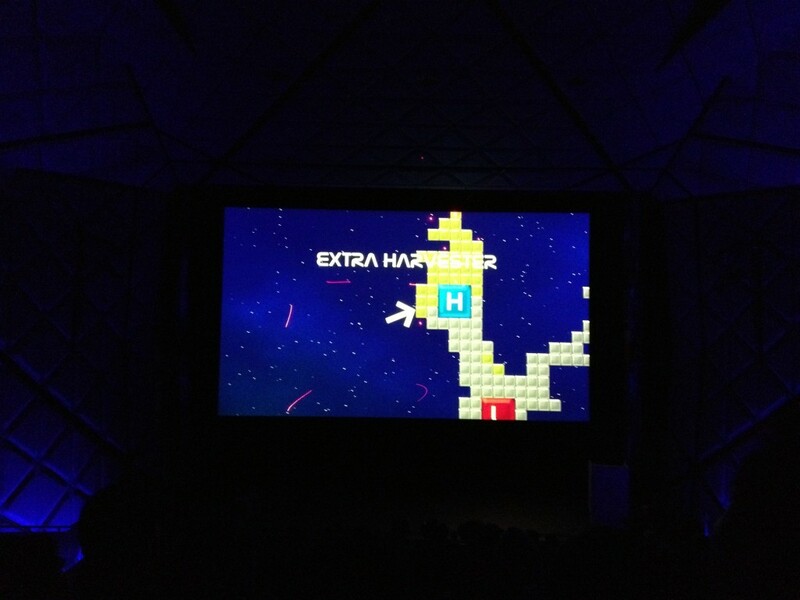 IndieCade East 2013 was a special moment, because it was the first time that we showed StarLicker publicly. We were lucky enough to grab a spot to pitch it for 90 short seconds at the Game Slam, and 90 full minutes with a table for the Show and Tell. Thanks to the awesome folks at The Spawn Point Blog, you can see the video of our Game Slam pitch on YouTube, “um”s and all. 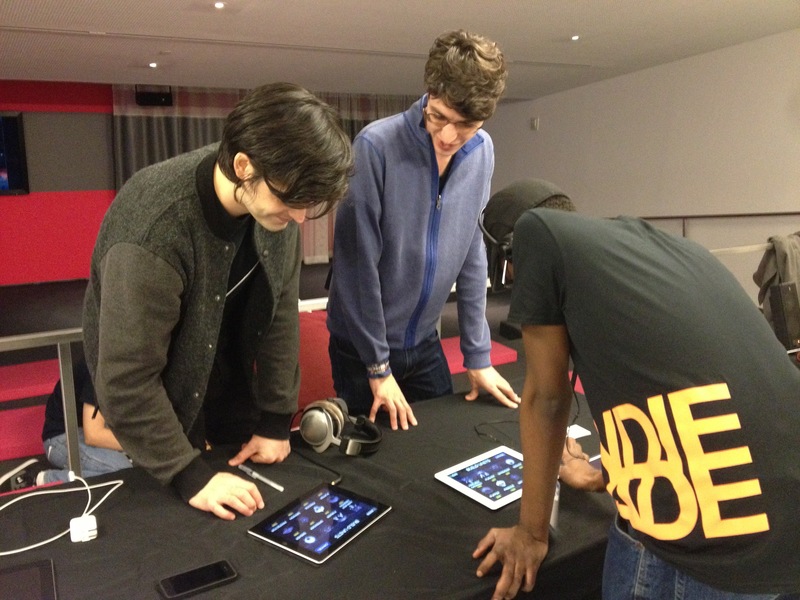 The Show and Tell session left us with never a dull moment, and we got a lot of good feedback. Now we know a lot of what we need to improve before we go to beta, and what works well to introduce people to the game in one or two turns of a match. The rest of IndieCade was just awesome for us as lovers of gaming. 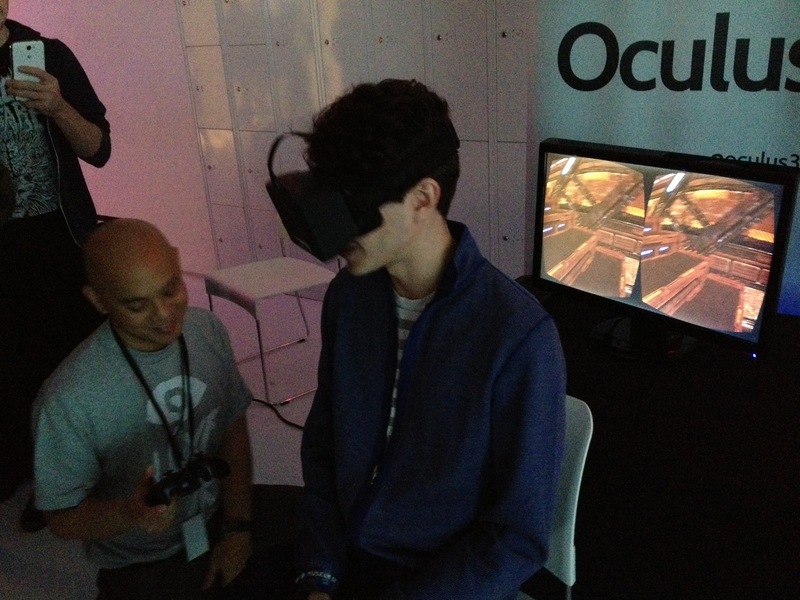 Of particular note was the ridiculously futuristic Oculus Rift, which lives up to all the hype. I can’t wait to play an FPS on that thing. Make sure you’re mostly alone when playing it, though: the person demoing it was giving me instructions, and I instinctively looked over, but saw nothing. Disembodied voices are super creepy. On Saturday during Night Games, we were able to take part in a massive game that took place in a theater with 100 laser pointers, named Renga, from wallFour. The 100 players have to point their lasers at the screen in a humongous co-op fashion in order to defeat enemies, “harvest quads”, and ultimately defeat a great evil to return home safely. I have to say, never before have I felt such frustration and joy in the same hour, shared with the other 299 people in the packed auditorium. Truly a surreal experience. In addition, we got a chance to play some of the Sportsfriends games – Johann Sebastian Joust, BaraBariBall, and Hokra. All of these were fun, but the one we were able to play the most was Hokra, since it had a dedicated station for the entire length of the conference. That game is ridiculously fun and competitive. Just when Hayden and I started to get good at it, forming good bouncing and passing strategies, somebody came around and revealed that there are other maps with different configurations of goals and obstacles, and I think I caught a glimpse of some sort of player type selection. This game is surprisingly deep, and I wish I could play a few more hours of it right about now. The biggest upside and biggest downside of this game is that it’s only for four players, locally. That situation almost never occurs in my life currently, so it’d be very hard to consistently practice and get good at the game. The same goes for the other Sportsfriends games, but Hokra is the only one I can comment significantly on. Overall, IndieCade was fantastic, and I can’t wait for it to come back to New York!